2014 is already nearing its end. It has been a year since I was saying the same thing about 2013. Time is crazy slippery… it goes by so dang fast! Aren’t my friends absolutely beautiful?! (My hair needed a brush – let’s just ignore that) I truly enjoy these girls. We are fortunate to live close enough to each other to be able to hang out and talk school, blogging and life. I love these ladies and am so thankful for the teacher blogging world that brought us into each other’s lives. We are teaming up again for our yearly linky party! I have a lot of favorite quotes. I tend to gravitate towards any “knick-knacky” things with words on it. The one quote that has always stayed with me is from Mark Twain. I don’t really have a FAVORITE piece of clothing. However, I never seem to have enough long sweater-shawl-thingys. I have quite a few of these. This one is from Tilly’s. My husband and I went to a lot of movies this year. It’s truly hard to pick a favorite. One of the more recent ones we saw was St. Vincent. I adored that movie. Each year it’s super difficult for me to pick a favorite series. I’m going with the first one that popped into my head and say “Mom”. I think it’s smart, hilarious, and poignant. My favorite restaurants are always the ones that are unique. One of my favorite local restaurants is a place called The Pub. It’s a “gastropub” so the menu is eclectic. The food always has a delicious, unexpected component that takes you by surprise. Hint water! It’s delicious and contains no sugar nor artificial sweeteners! I hate that chemical taste that so many of those “flavored waters” have. This one just tastes like water with the slightest hint of fruit. I L O V E it!!! Teacher peeps you need to stay hydrated! I cannot recommend this yummy water enough. Photo from their FB page – They all taste so fabulous. I just received this gorgeous ornament from Holly Ehle from Mrs. Ehle’s Kindergarten Connections. It’s SO pretty! I think a word cloud like this would be an awesome addition to a teacher desk. I pinned this to my Cool School Things board. Back in March, I wrote a post about my interactive word wall and all the ways we use it in class. I was thrilled to see all of the pins from it on Pinterest! Now all of the sight word cards from my wall are available in the Homework Time resource! Kindergarten specific resources have been a HUGE part of 2014. I am SO happy to have completed Morning Wake Up for Kindergarten. This was super important for some of my favorite friends. I had been promising them morning and daily common core work for their kindergarteners for a very long time. I am super happy with how it, and Daily Literacy Practice for Kinder, turned out. These resources took FOR.EV.ER to finish but were totally worth it. This is a perfect time to wish all of you a fabulous holiday season! I’m truly grateful to everyone who takes even a second out of their day to read anything I have to say! Here’s my family’s Christmas card for 2014. My favorite memory is a simple one. Now that my kids are grown it is rare for the four of us to get together and just hang out. Everyone has a busy, crazy schedule. But a recent evening playing a game and going to the movies together was so much fun! It had been far too long. I had the most wonderful time. Often times the BEST things are the SIMPLE things! I’m probably cheating here, but my goal for 2015 is the same as the goal in 2014. It’s not because I failed at the first time around… just that there’s room for more! I’ve made a lot of progress in living a healthier life and I plan to continue in the same direction! That sums up my 14 in ’14! What are yours? Do you have a blog? Link up with us! Link your 14 in ’14 post below! I need to try that water!!!! I've never heard of it! And your Christmas card is BEAUTIFUL! And I love love love love love your quote. There is nothing better than laughter! So I thought you were like 28. I can't believe you have 2 grown children! You've had a great year! Thanks for creating this Linky Party!!! 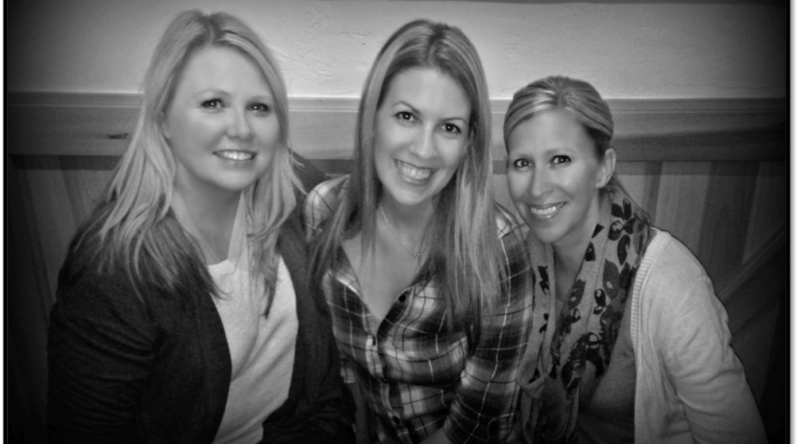 Mary….she obviously had her children when she was 10 😉 😉 Traci, love you bestie!! I watched Mom the other night and it was a really great show! I love your goal! I need to eat healthier this year too! I love the idea of the word cloud on a teacher desk too! Thanks for creating such a fun linky party! I am a water fanatic too Traci. I gave up all soda, coffee, caffeine . . . I love ice mountain seltzer water that has a hint of flavor, but I'm totally running out to try HINT. Thanks for the tip friend and for letting us see a bit of your year. I agree, you look like you're 28.. and I love the show Mom as well. Those two are just too much sometimes! I couldn't believe you had grown children either!!! Beautiful family! Love the Christmas card. 🙂 I saw the movie St. Vincent recently as well. It was a good one! Another wonderful year with our beautiful friend! So thankful for you! Your card is incredible and think that word cloud is pretty awesome. May the new year be full of blessings for you!!! Cheers! Rachel - Mrs. O "Knows"
Loving this linky! I must try Hint Water! I need something like that because those sweeteners are not working for me and I but avoid the soda! What a beautiful family! I love that Christmas card! Wishing you a happy and healthy 2015!